* VIX 1.1 Bootlogos and Radio Logo. * EPG Importer now renamed to RyVIX and using latest sources file. * EPG Download from transponders - This incorporates the EIT, MHW, FREESAT & VIASAT downloads. To enable/disable, change your settings in the Menu -> Setup -> System -> Customise. * CrossEPG included in image as default - A modified version of the CrossEPG importer has been installed in image as default. Settings for this can be found in Menu -> Setup -> VIX -> CrossEPG. This version has been modified to remove spaces at the beginning of the title. It is a modified version of the original beta, that also downloads more titles and summaries, to give a fuller epg. * VIX Team Softcam Manager - Rewritten, softcams can now be installed and managed independently. * VIX Team Device Manager - This enables you to choose where you want to mount USB Sticks, USB HDDs, etc. This can be found in Menu -> Setup -> VIX -> Device Manager. The device manager can handle Swap partitions, as well as other paritions, and start the swap partition upon boot (this does not require you to use the swap file manager, but swap partitions must be setup manually). Swap partitions are automatically set up to run. * VIX Team Image Manager - This enables you to backup and restore your image (nb, we are talking the whole image, not just settings). This can be found in Menu -> Setup -> VIX -> Image Manager. You can choose where to store your backups to, either HDD or USB. /media/hdd/imagebackups or /media/usb/imagebackups folder (setup by pressing menu, whilst your in Image Manager). * VIX Team Overscan fix - This is the fix to remedy any overscan people had in the previous release. To use this, go to Menu -> Setup -> VIX -> Skin Settings and alter the "Menu Overscan amount" to suit your display. * WebInterface Remote control - The Web Remote used in the WebInterface now shows the Vu Duo remote control, with all buttons mapped correctly. * Software Manger Installed as default, and skinned for VIX - This also allows for System Update, to keep the image up to date when alterations are made to some of the core features. * Alternative skins can be used - Only the skins from the plugin server are compatible. * New plugins feed - Added Bouquets and Skins to the download server. * Added option to disable the spinner (egg timer) - Change the setting of "Show Animation while busy" in Menu -> Setup -> System -> Customise. * Added option to disable the channel numbers in Channel List - BMCC bouquet's have Channel Numbers in their channel name, so you get them twice in channel list. * Added option to enable/disable panic button (goes direct to channel 1). * Added a shutdown screen going to deep standby. * Network manager will run automatically upon first start up, to help set up your network. * Added Wireless Lan Support - This is automatically enabled in the image. To set up, use the Network manager on first boot, or from the Menu -> Setup -> System -> Network. * Added Network Browser to help you setup share mounts. * Softcam case sensitive - The Softcam Manager requires the softcam config files and these file are case-sensitive, So now the Softcam Manager warns you that the config file does not exist, if it is not the correct case. * Added skinning elements to the plugins, so you can now use the default skins (Default_Skin, 750s, Vu HD, kerni-hd1r2 & dmconcinnity-hd), but as for others it will use them but ONLY if they don't use extra plugins like "ExtreamInfo.py" that is used in VTI 's infobar if you remove it then the skin should work. (open the skin.xml do a search for 'ExtreamInfo', and remove those elements found, then the skin skin should run ok, please post skin that you get working and i will sad then to our skin feed. * Network Adapter Setup - IP Address was not fully being shown. * Picons bug - Once you had setup Picons on internal flash, it would not allow you to change to HDD or USB. * Short Red - Show current event info. * Long Red - Show current channel EPG info. * Short Green - Timers. * Long Green - AutoTimer Timers. * Short Yellow - EPG Search. * Long Yellow - IMDB Database. * Short Blue - Extensions. * Long Blue - Plugins Menu. * Motor moving image does not display - Problem with main driver, reported to VU+. * Front VFD display showing the play button at the end of a video unless it is stopped manually - Problem with main driver, reported to VU+. * ECM time on second info bar in skin is not currently shown - New version of CCcam needed for OE1.6. (libgcc_s.so fix is unstable). * Installing other skins will cause the box to get into an infinite loop. Only use supported skins on this image (currently Vu_HD_Plus, Default_Skin, 750s, Vu HD, kerni-hd1r2 & dmconcinnity-hd are the only supported skins) - but others can be used, but ONLY if they don't use extra plugins like "ExtreamInfo.py" that is used in VTI 's infobar if you remove it then the skin should work. (open the skin.xml do a search for 'ExtreamInfo', and remove those elements found, then the skin skin should run ok, please post skin that you get working and i will sad then to our skin feed. 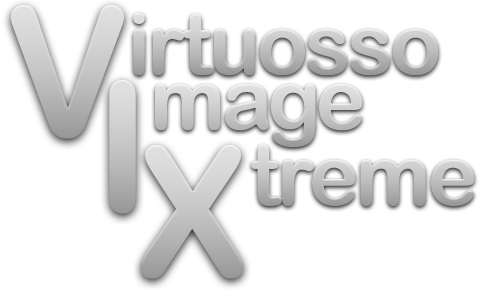 VIX Duo 1.2 Bootlogos, Radio Logos and Shutdown Logos. * Softcam Manager completely re-written to allow users to add any softcams that are not currently available in the plugins server. If a script is not necessary, then you can just copy the binary file over to /usr/softcam/. This will allow you to use the binary. If you need a script, then andy will explain how to do it . Also, with the new softcam manager, softcams will start in the order in which you add them to the autostart. So, if you want oscam and cccam to autostart, if you add cccam first, then oscam, cccam will always start before oscam (basically, pointless ). So, make sure you add them in the correct order!. Also, some users need mgcamd to update entitlements (and other similar cam usage might be required). So now, if you want to stop a cam, the autocam checker will not check for stopped cams. For example, if you stop any autostarted cams, then start mgcamd (or whichever cam is not autostarted) manually, this will stay running until you either manually stop it and start the required cams, or restart your box. * Added some softcam scripts into feeds (still requires testing further). mbox, mbox-sbox, mbox-sbox-cccam, cccam-mbox-sbox. * New device manager - completely re-wrote to work better in the image. Swap partitions are no longer handled by device manager. * New swap manager - completely re-wrote to work better in the image. Swap partitions are read and handled by swap manager. Also, to ensure stability in swap creation, swap files have been limited to 64mb. * New image manager - completely re-wrote to allow it to work on both the solo and duo. * New IPK Installer, just copy your .ipk fle into '/tmp' and go the menu option. * Crossepg now moved in to the VIX menu. Also, crossepg has been updated to the latest version (svn 113). * Updated CoolTVGuide to version 2.10, but with our own code rewrite, it now launches 3x quicker than the original. this will be the last version that vix will have built in to the image, as great as the plugin is it is just getting slow, ViX is going to start again at the beginning with GrphMultiEPG and build it back up with only the needed features that does not slow down the plugin. when this is done you will still be able to download CoolTVGuide from our feeds of you wish you use it. * Updated AutoTimer blue button, now creates the timer for you as well, no need to manually run AutoTimer update to get the timer added. * Updated AutoTimer background check, as default it now only checks for new timers whilst in Standby. you can turn this off in settings. * Updated VIX Team Vu_HD+ Skin. * Added Ghost HD skin. * Many other enhancements under the hood to ensure a smoother image . * Autotimer :- A modified version is used, with many bug fixes. The main bug fix is sometimes AutoTimer would sometimes not find events. ie. AutoTimer would find an event 'The Apprentice' on BBC1, but not find the same event on BBC HD. 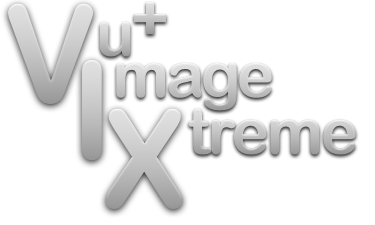 VIX Duo 1.3 Bootlogos, Radio Logos and Shutdown Logos. Softcam slightly rewritten - This was to remove the bug of CCcam crashing when using the Autostart feature. This was due to the way the check to ensure CCcam was running was working. Major rewritten core code to help with stability and memory issues that were in previous v1.1 build. Movie list has been re-written to allow threading - This is only used if you use more than one storage device/partition. Previously, if moving a file from one drive to another, the box would be frozen whilst the movie was moved. Now, the move happens in the background allowing you to carry on using your box. NB, only one move/delete will be allowed to happen at any one time. the button labels will go blank whilst the file action is in progress, moving through the movie list checks the progress, so you can then move another recording. VIX-EPG - This is a simpler, faster version of CoolTVGuide, modified for the image. In our tests, this is faster than CoolTVGuide. If you still wish to use CoolTVGuide, you can install it from our feeds and you will need to edit the setting in the VIX Menu. VIX QuickEPG - This is VIXs' version of QuickZap. You can see the full epg data for the channel, not just now and next. Picons work within QuickEPG. You can change channels using the left/right **** or by keying the channel number, zap to a channel using OK, use up/down to scroll through the epg list an event at a time, or use channel +/- to scroll 2 at a time. By default, QuickEPG is entered by left/right. This can be changed in the VIX Menu Settings. NFS Server added to image and set to run automatically - To edit the folders you wish to share, you will need to edit file /etc/exports. OpenVPN added to image - This will need to be configured to your need first then use the manager to setup to autostart. The team have never used this, so it still needs testing, if you find any bugs supply a config file that we can use to test it with. Autosleep function added to VIX Menu - This allows you to automatically put the box to sleep at your chosen time. If for any reason you are still watching tv when box tries to go to sleep (e.g. you decided to stay up late to watch a film or something ;)), you can choose to cancel the sleep, and it will retry sleep at intervals set by you. VIX Network Manager added to VIX Menu - This allows you to stop and start certain network features. The features you can stop/start are: FTP, NFS, VPN, Samba and Telnet. Subserivice Option - This option allows you to assign the Subservice shortcut to a long green press. To change this option, go to VIX Menu -> VIX Setup. Softcam Manager added to extensions menu (short blue). VIX Menu added to extensions menu (short blue). Softcam manager crashed while checking to ensure CCcam was running - An interim fix for this was to ensure a swap file was running. This is not now required due to modifications of Softcam Manager. ECM Timings in CCcam - This is only fixed if you are using CCcam 2.2.0. If you are using this version of CCcam, then the ECM timings will be shown. If you are using an earlier version of CCcam, then you will not get anything showing in regards to ECM times. See screenshots below of second infobar as to where it will be shown. Short Red - Show current event info. Long Red - Show current channel EPG. Long Green - AutoTimer Timers. Short Yellow - EPG Search. Long Yellow - IMDB Database. Long Blue - Plugins Menu. Left/Right - Opens VIX QuickEPG. Crossepg - There has been a bug that the team has found with this version, where the box does not necessarily listen to your requests (i.e. once a day at 4am for example), and randomly downloads data. To try overcome this a little, we have put a check in to ensure that it will only download randomly when the box is in standby. Motor moving image does not display - Problem with main driver, reported to VU+. Front VFD display showing the play button at the end of a video unless it is stopped manually - Problem with main driver, reported to VU+. Installing other skins may cause the box to get into an infinite loop. Only skins in the feed are tested and recommended by us. If you want to use other skins, you will need to use OE1.6 skins (i.e. those created for VTI 2.0 or later), and may need adapting for the image (espcially in terms of the CCcam info displaying on the second info bar)..
rytec - for his continued support. CoolMan - for his CoolTVGuide plugin. silverfox0786 - for his bootlogos. Yes, you read that correct. We have changed source (hence the long delay in release) to the Open PLi base. Many thanks to them for allowing us to use their base . If they wish to see any of the source code (without ViX specific enhancements of course ), just pm andyblac or Sicilian, and we will gladly send them on to them. Since this is a completely new base, you will have to do a full fresh flash. Online updates will not work!!! Also, you will not be able to restore your settings from ViX 1.3 to 2.0. You will have to manually configure your box, as in testing, this has proven to cause many problems and instabilities in the box! All new version number - Yup, we've moved on to version 2.0! This has nothing to do with the fact that the PLi version is 2.0... We felt that the addition of the dvb-t (wait for it keep reading ) warranted a brand new version number. This also puts the duo and solo in line number wise! All of the PLi enhancements - This includes the infamous subtitles requested by many As well as auto audio/subtitle language selection, etc, etc). Please also note that USB / ESATA devices NEED there mount points setup in Device Manager (green button whilst in Device Manager) in order for them to work correctly. Motor moving image does not display - Fixed by Vu in latest drivers. Installing other skins may cause the box to get into an infinite loop - Since moving over to the PLi image, changes have been made to the way the image works with skins. Now, most skins created for the PLi image should work on the ViX image. Front VFD display showing the play button at the end of a video unless it is stopped manually - Problem with drivers, reported to VU+. Few problems with WebIf Remote Control coloured buttons in timeshift/playback mode - E.G. The blue button decides to fast forward, not show the extensions menu. Network mounts not remounting if the source goes offline - You should be able to go in to the network menu, and choose "Mount Again", but this doesn't seem to be working. PLi Team for their great base image and allowing us to use it. Coolman and all other developers for their plugins used in the feeds of this image. * ViX Bootlogos, Radio Logo and Shut Down Logos. * ViX Team Vu_HD Skin. * ViX Team softcam manager (softcams will need to be installed manually). * ViX Team Cron Manager - Allows you to create cron jobs from scrips in /usr/script/ and set them to run at pre-defined times by you. For more info, look at the screen shots below. * ViX Team Power Manager - This allows you to enable standby at a specific time, enable deep standby at specific times, do a GUI restart at specific times, or do a full reboot at specific times. If standby is set after deep standby, then it will wake the box up and return the box to the state it was before deepsleep was initiated... For more info, look at the screenshots below. * ViX Team Device Manager - This enables you to choose where you want to mount USB Sticks, USB HDDs, etc. This can be found in Menu -> Setup -> VIX -> Device Manager. Please also note that USB / ESATA devices NEED there mount points setup in Device Manager (green button whilst in Device Manager) in order for them to work correctly. * ViX Team Swap Manager - Allows you to create/use swap files on usb/hdd, and also allows you to use swap partitions. * ViX-EPG - This is a simpler, faster version of CoolTVGuide, modified for the image. * ViX QuickEPG - This is VIXs' version of QuickZap. You can see the full epg data for the channel, not just now and next. Picons work within QuickEPG. Also includes channel preview. * ViX Network Manager added to VIX Menu - This allows you to stop and start certain network features. The features you can stop/start are: FTP, NFS, VPN, Samba and Telnet. * IPK Installer - Just copy your .ipk fle into '/tmp' and go to the menu option. * AutoTimer plugin integrated into image - Create an AutoTimer (Series Link), using Blue button in Current Channel EPG info. * XMLTV EPG Importer - Thanks to Rytec for his support on this Importer. This has been updated so that the Import automatically updates itself from the servers, so there is no need to download and install new source files. Thanks to Rytec for the idea and andyblac for coding it. * CrossEPG included in image as default - Settings for this can be found in Menu -> Setup -> VIX -> CrossEPG. * EPG Download from transponders - This incorporates the EIT, MHW, FREESAT, NetMed & VIASAT downloads. To enable/disable, change your settings in the Menu -> Setup -> System -> Customise. * EPG load patch - Image patched to allow EPG data to be loaded without the need for a restart. * WebInterface and Help Screens - The Web Interface Remote Control correctly shows the Vu+ remote control, with all buttons mapped correctly. As well as this, in all Help screens, the remote control has been updated to the Vu+, and all references of Dreambox removed. * Panic Button - Added option to enable/disable panic button (goes direct to channel 1). * Subserivice Option - This option allows you to assign the Subservice shortcut to a long green press. To change this option, go to VIX Menu -> VIX Setup. * NFS Server added to image and set to run automatically - To edit the folders you wish to share, you will need to edit file /etc/exports. * Network Browser - Added Network Browser to help you setup share mounts. * OpenVPN Support - This will need to be configured to your need first then use the manager to setup to autostart. * Added Smargo Support - This is automatically enabled in image. * Recorded Items - Recorded Items list modified to move item, browse directories, etc. Works similarly to suomipoeka plugin. Can be selected to load via the recorded items button, or from the tv button. * Permanent Timeshift Plugin integrated (Disabled by default, turn on via Timeshift settings). * Short Red** & *** - Show current channel EPG info (ViX Single EPG). * Long Red*** - Show current event. * Short Green** & *** - Timers. * Long Green*** - AutoTimer Timers. * Short Yellow*** - EPG Search. * Long Yellow*** - IMDB Database. * Long Blue*** - Plugins Menu. * EPG - Opens ViX EPG. * Left/Right** - Opens ViX QuickEPG. * rytec - for his continued support. * PLi Team for their great base image and allowing us to use it. * Coolman and all other developers for their plugins used in the feeds of this image. ViX is now embedded within the image even more. A lot of settings have been moved out of the ViX menus, and incorporated within the image. Settings from previous images may not be 100% compatible, and it might be best to re-setup your image without restoring system settings for 100% reliability. If you have previously used NetworkBrowser to mount network mounts, please remove '/etc/enigma2/automounts.xml' BEFORE tying to setup news ones. ViX Team softcam manager - Lots of changes have been made here. You can now choose whether you want to check whether your cams are running by pressing menu in the softcam screen. You can also check the status of your cam checks by pressing the info button. Also, lots of behind the scenes checks to ensure no restarts of cams when it is actually running. ViX Image Manager Update - This has been overhauled, and now has the option of creating a schedule to do daily, weekly or every 30 days backups for you. ViX Cron Manager Update - This has been updated to allow more detailed and specific cron jobs to be created. ViX Single EPG (with channel preview) - This has been updated to now support picons. ViX Release notes - This is just a little screen within the Menu -> Information -> About, that appears when you press EPG/Info button, to tell you the latest updates for the image. ViX Logs Manager - This allows you to manager your crashlogs and system logs (if enabled). If you have a crash, you can email your bugs to us directly from the image. Go to Menu -> Setup -> System -> Logs. When in the Logs Manager, you can edit the configuration to show your forum username, and your email address by pressing the Menu button. Please ensure you do this before submitting logs! ViX Settings - These are now found in the main System Menu. ViX Simple TV List - This is a simple selection to show your bouquet lists, just showing the channels and current event (if in EPG). To access the Simple TV List, do a long up/down arrow button press. You can customised it to be the default option instead of Full Screen Channel List, in which case, Up/Down buttons are reversed. It can also be set in the ViX Settings for the TV button. AutoTimer plugin integrated into image - Create an AutoTimer (Series Link), using Blue button in Current Channel EPG info. This has been updated to use threading, so that it will work in the background. No more spinning when checking for lots of timers. Default behaviour has been changed so that it does not check in standby only, and will check every 30 minutes. CCcamInfo - CCcamInfo plugin built directly in to image. OscamInfo - OscamInfo plugin built directly in to image. CrossEPG - Updated to latest release to allow better EPG importing. Movie Player - Now, when playing a recorded item, you can search EPG and add Auto Timers for the particular recording. When watching your recording, press yellow to search the EPG, then press blue to add an AutoTimer. "Link-Icon" in network doesn't show up (= grey instead of green). Radio mp3 stream crashes after some time (sometimes only > 1 hour). Once that occurs, TV is also without sound. A reboot is then required. There might be a relation with Shoutcast (in use or just installed). A second subtitle in AVI, MP4 etc doesn't show up. Debugging in E2 just stops. BackupManager - Lets you create scheduled backups of your system files (not full Image like Image Manager). RestoreWizard - This a wizard that detects and restores you backup (created with BackupManager), with option to restore your extra plugins. ViX Menu - Added PackageManagement & Software Update, so SoftwareManager is now not needed. It is also now translatable into different languages. NetworkInadyn - Add new network setup screen Inadyn. OScam/CCam Info - Added options to show in Extension List. (the Menu item will now only show IF the softcam is installed). OnlineVersionCheck - Added option to disable online check by setting check value to '0' and set a maximun timer to 48 hours. Recording List - Added a new option in MovieList Settings to use a "Slim" list like the "Slim" Channel slection screen. EPG Graphical - This is now in core, no longer a plugin (was ViXEPG), added the option to show Bouquets on launch. EPG Menu - Add Load/Save item, this allow you reload/save the EPG cache. E2-Plugin's - Updated all to plugin's to the latest GIT from PLi. ZAP Timer - This will create a zap timer (rather than a recording timer) for the selected event in the EPG/Single EPG etc. To activate this, select the event from the EPG, and do a long button press on the record button. This is a non-configurable timer, so will use all defaults, and just set the record to a zap, rather than a record. When adding a zap timer, the clock icon will show on the previous event. This is to do with the pre-start timer. SwapManager - Code cleanup, for better activation/detecion. About Screen - Updated infomation screen, better layout, more information. VFD now shows image version. EPG Search - Fix a bug where the yellow button just opened a blank EPGSearch screen instead of actually perfoming a search on the current event. Also, added 'Show History' to long yellow button press whilst in EPGSearch. EPG Cache - Updated so now it does not require 2 reboots in order to use new location. EventView - Fix GS on opening Similar List. Network Link State - fixed Vu+ machine network link state. PluginBrowser - fix it not installing picons. SoftcamManager - Add Timercheck for OScam to support no username or password in Webif, fix GS when pressing coloured buttons, if no softcams installed, also code clean up. Translation - Updated NL language files. [b]Permantent TimeShift fix and embed PTS. Updated KeyMap - Fixes a few MoviePlayer remote control issues. ViX HD skin - PNG fix for selected items in lists, Tweaked the Jobview screen, 'New Online Version' icon now flashes to remind you of an update. VIXEPG fix - The < > **** for jumping +/- 1 day. NetworkBrowser - fix GS when creating CIFS mounts. RemoteSetup fix GS when showCoolTVGuide is selected. Second subtitles in AVI, MP4 etc often need a stepskip to enable them to show up. Shoutcast has no genrelists and menu is not working. Vix 2.2.109 version nolu image yayınlanmıştır,cihazınızdan yazılım güncellemesi yapabilirsiniz. This image requires the latest bootloader (attached to this post) to be flashed. This is because Vu+ have changed the way the drivers work. So, before updating your image, you will need to first flash the bootloader, then flash the new image. Flashing of new bootloader only takes a few seconds, so once flashing's completed, then just turn off the box, transfer the new image to the usb stick, and flash with that. Also, it is recommended to NOT use older images with this new boot loader, as this may result in a bricked box. Added seekbar functionality to the image - Allow you to seek within a recording playback to where you would like to be within the playback. To utilise this, please hold down the << or >> buttons on your remote, and the seekbar will appear at the top. Use the arrow **** on the remote to choose where you would like to seek to in the playback, and press OK to start playback from this point. When using timeshift and a recording starts to take place, then you will not get a REC icon on the VFD. all developers for their plugins used in the feeds of this image. All of the ViX Beta team for their hours of testing and dedication on getting this image working. 'Rob van der Does' & 'belierzz' for their translation work. Silverfox0786 for channel settings and picons. Because of kernel change, you will not be able to perform an online update. A full flash is required for this version of ViX image. But you can use Backup Manager to backup your setting, although any extra plugin will not be reinstalled by the wizard due to the kernel change. OpenWebIf - this now how has replaced the old WebIf, and as a result it uses the default port of 8088, if you want you can change it back to 80 in the plugin setup.